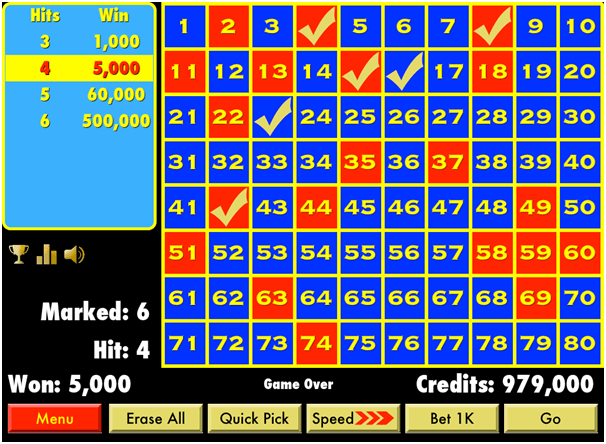 If you want to enjoy the game of Keno on your iPad then just have a very beautiful Keno app known as Keno Pad from iTunes. All you need is to tap between 2 and 10 numbers that you think will come up. Then anxiously watch as 20 random numbers, or balls, are chosen to see how many matches you get. The more you bet, the more you win or lose the game. With this app you can not only enjoy Keno but other casino games as well like poker, texas hold ’em, slot machines, roulette, or black jack. This is free game so you get 100 Credits to start. Also you can get up to 1,000 or one million credits if you complete the game challenges. 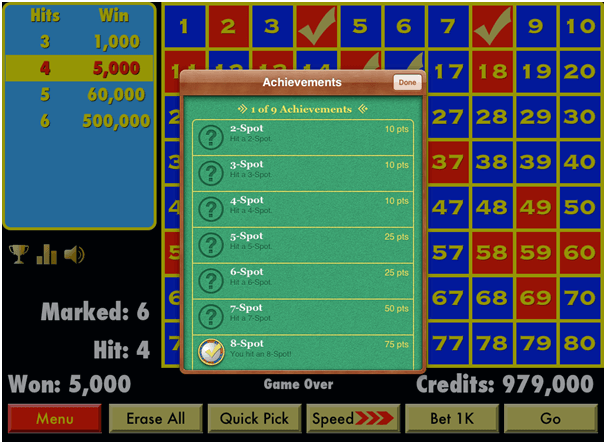 This app has a retro casino feel and there is a win meter to know your winnings. 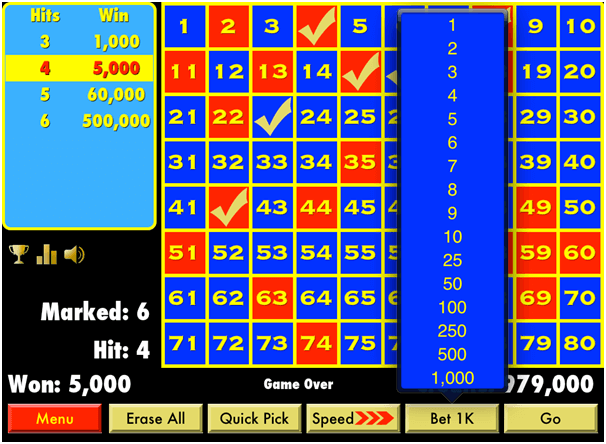 With Quick Pick option you can select the keno numbers at once. You can slow the game or move fast as there are five speeds to use mainly being slow, normal, fast, really fast, and instant. 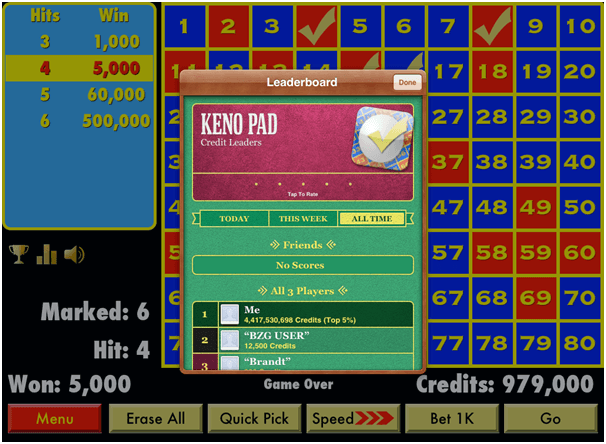 Also there are Keno Spot Leaderboards and you can bet up to 1,000,000 credits per game (if you can afford to). Since Keno Pad is a paid download, you’ll enjoy playing keno ad-free. You’ll be able to enjoy this ad-free iPad Keno game and save money from going to an actual casino. With Apple’s Game Center Integration, you’ll enjoy competing with others on the High Scores Leaderboard and competing against yourself earning achievements when you get a 2-Spot, 3-Spot, on up to 10-Spot! Also this app requires iOS 9.3 or later which is compatible with iPad. Download the app now.